Our little learners have a lot to cope with in the modern day at school. 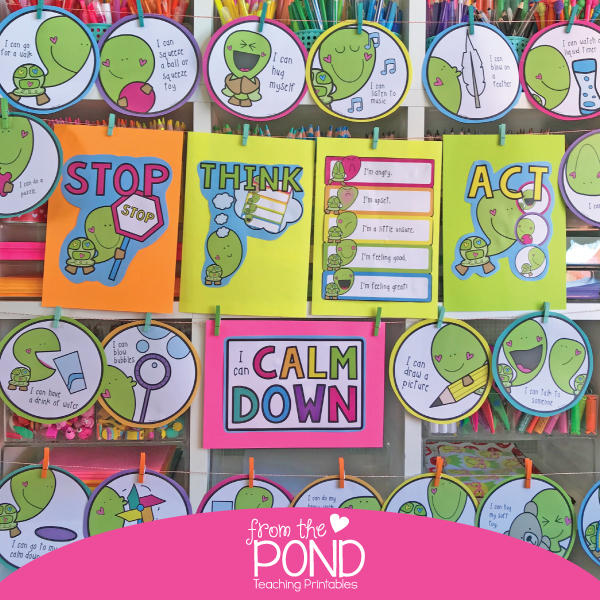 One of the most effective ways to deal with any kind of rise in emotion in the classroom is to begin to peel things back and simplify as much as possible. Close your eyes and imagine a peaceful, calm, happy experience and then juxtapose that with a chaotic one. One of the main differences no doubt, in your imaginings, was the amount of things going on. I can almost guarantee your calm scenario featured a simple place, a specific clear purpose, limited noise and very few activities. Consider how these ideas can be transferred to your class environment. 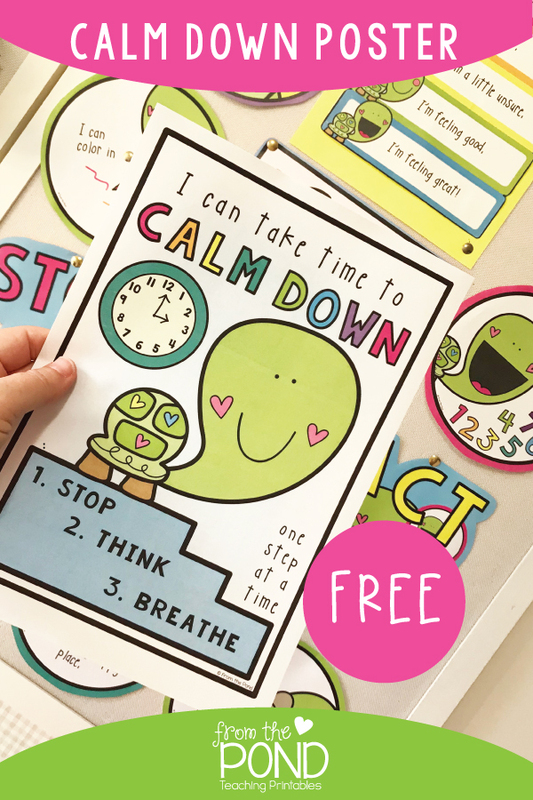 We just added a unique set of printables to our collection that will help you create a calm-down strategy for your little learners. 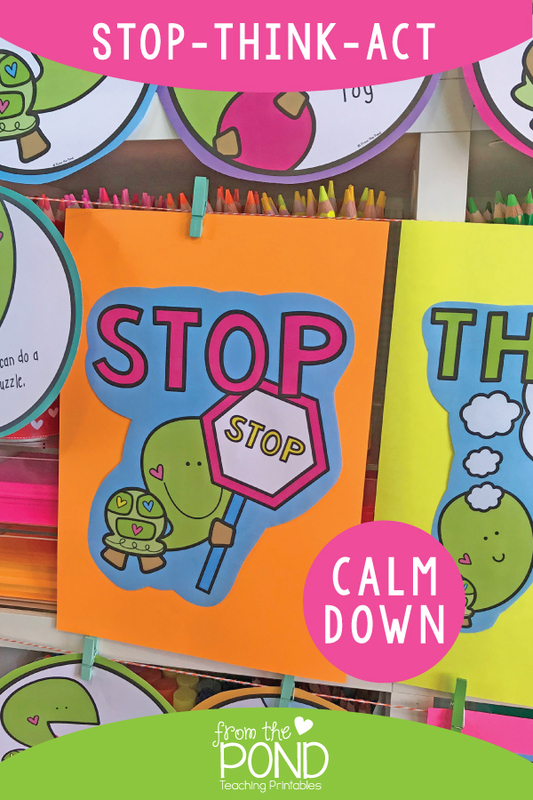 You will be able to teach your students to recognise their rising emotional state and to act when they identify themselves in a difficult place. As always I like to recommend that you try teaching in your learning environment with as little of these sorts of management support strategies as possible. Wait and see if you need them, and build up, adopting them one by one as needed. Otherwise you are creating a lot of unnecessary work for yourself. We have included an MS Powerpoint file that includes the visuals in text editable format so you can change the words to suit your students or create your own visuals for your unique strategies. The stop/think/act cards are not editable. Use just the most appropriate pieces for your specific teaching context. I would recommend starting with just the 'stop, think, act' process for your class. 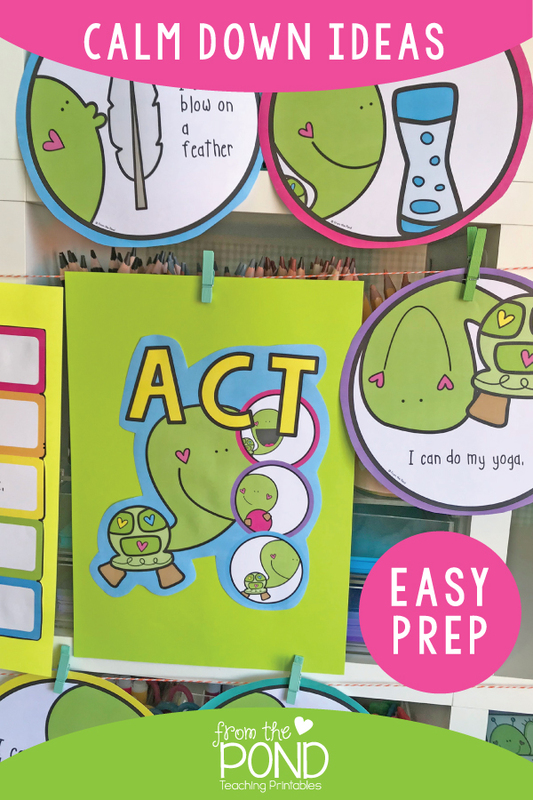 Let the students suggest and try simple equipment-free strategies that they might be using presently. If needed select up to 4 strategies from the selection in our pack for students who really need them. Try them out and see how they work. 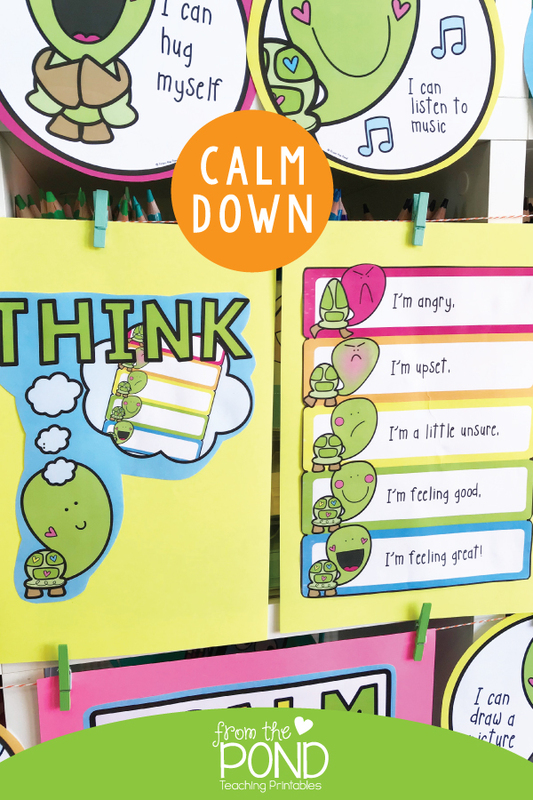 Your goal would be to get these students calm to a point where they can return to their school work. This will be very specific to each learner and your school expectations. Consider how you will signal to a student that they must now rejoin the class and communicate this clearly. Our weekly newsletter this week included an exclusive free one page poster and coloring page. If you missed it and would like to sign up, use the sign up below and we will send it out to you. By subscribing to the email you are signing up for a weekly or fortnightly update from us that includes links to new paid products, teaching ideas, content links and exclusive freebies. You can unsubscribe at any time.